Class war and cognitive dissonance: do the rich pay enough tax? This was written by the gossip columnist though, which suggests The Fin is passing up the opportunity to really take the bait. All this has me thinking. Do the rich really pay enough tax? There is, however, a bit of cognitive dissonance the average policy wonk faces in answering such a question. Let’s face it. Most of us consider that question by imagining those richer than us paying more. Few readers interpret it as “should I pay more tax?” even though plenty of you find yourselves in a household making over $100,000 a year. 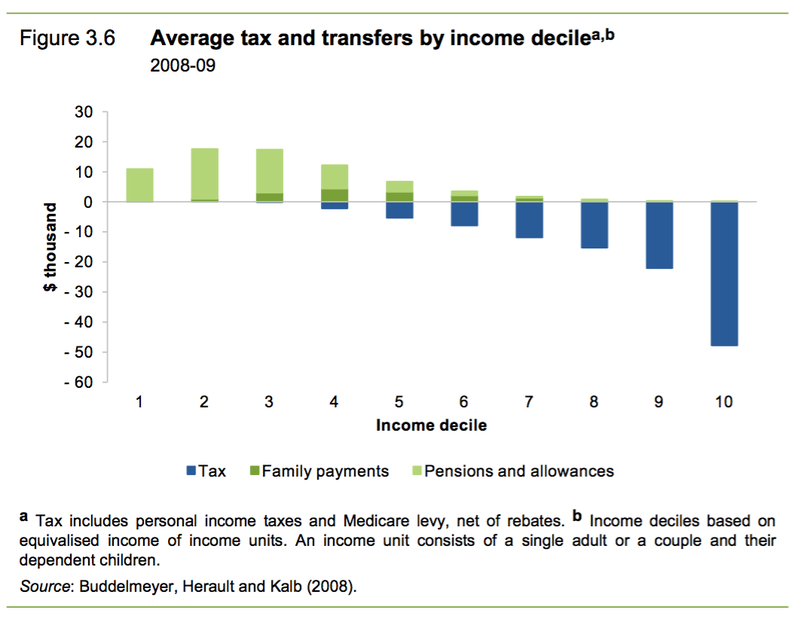 Those on higher incomes do pay the most tax in Australia. 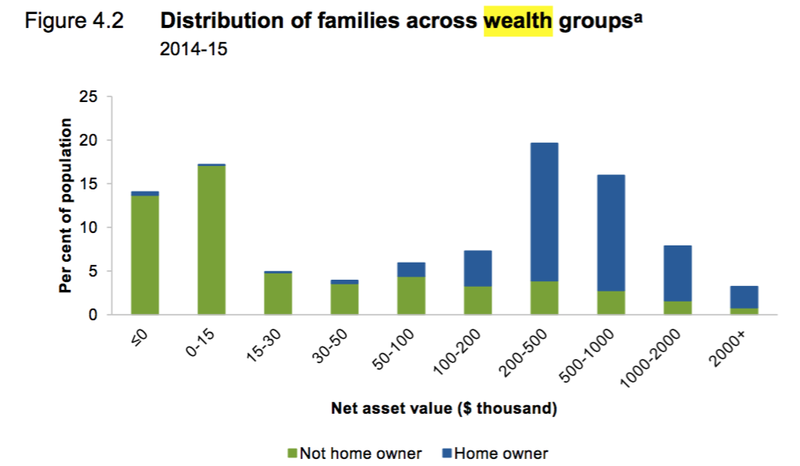 The few families making $175,000+ a year contribute more total tax than the (far greater) numbers of households making under $100k. 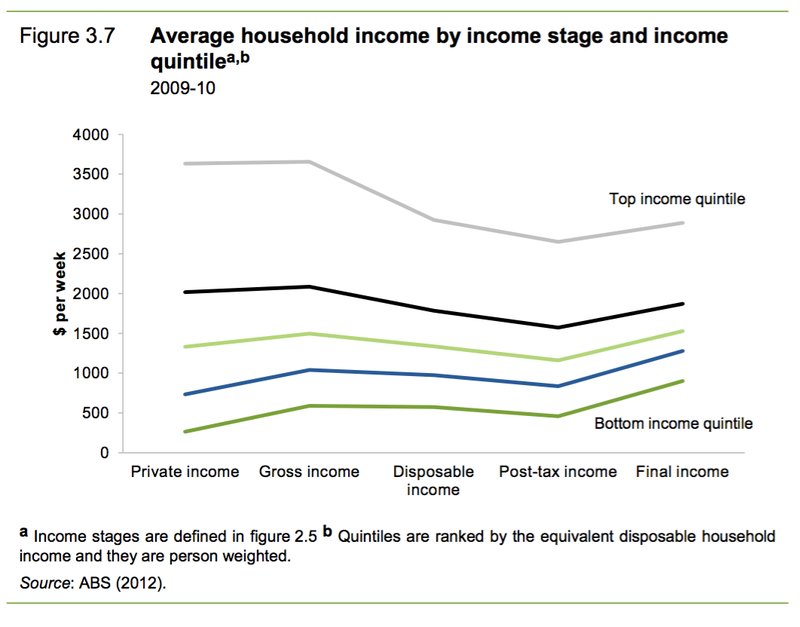 The tax burden is squarely aimed at the top of the income distribution curve. When you look by assets things get a bit more complicated, but the overall trend is still richer people tend to pay more. 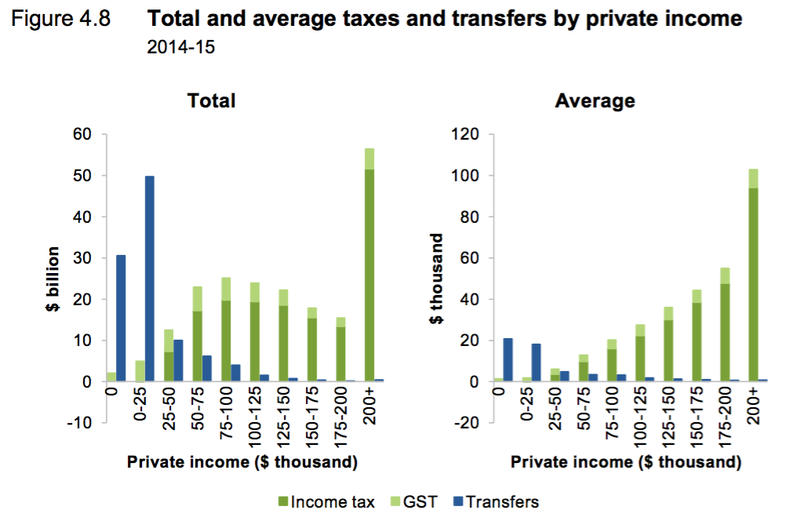 One technique Jess Irvine uses to support her call for more tax on the rich is raising the spectre of widespread income tax rorting. I wrote about rorting in Crikey last year after we learned 55 people who earned over a million dollars paid no tax in 2012-13. That fact went viral. But it represents just 0.6 per cent of millionaires. 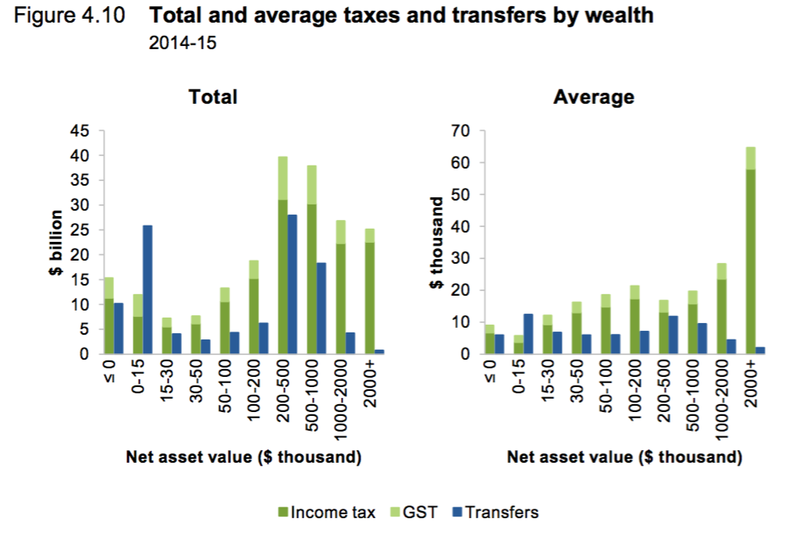 Most income millionaires seem to pay a lot in tax – 93 per cent of them are in a group with an average tax rate of 42 per cent. Another 6 per cent pay an average rate of 35 per cent. I reckon tax evasion is far more common in corporate tax than income tax. But Irvine’s article says we can’t do anything about that. She goes on to argue we should institute a land tax. It’s a good conclusion to what has been a fairly odd argument. I support a land tax. I’ve been pleased recently to see it getting a fair bit of attention. But it doesn’t really follow from her argument. It seems to me the rich already pay a lot of tax, are fairly honest about it, and don’t actually complain that much. Is that the end of the argument? This “do the rich pay enough tax?” question is just a proxy – an emotive, perhaps even fun-to-think-about proxy – for a question about whether our society is fair. That’s a better question, because it allows that bubbling pot of cognitive dissonance to simmer down for a moment. The answer is probably a qualified yes. It could be fairer still, if we focus on eliminating disadvantage. We can hold onto the fact the rich pay most tax, and permit the idea society could still be fairer. There are many ways to eliminate disadvantage, and make society fairer. Minimum wages and strong public health systems are a big part of it. When we look at America, we see what can happen without them. That is an economy much less fair than the one we experience. Transfers are another major way to make a nation fairer. A basic income, or minimum income policy would go a long way to making Australia fairer. But I don’t see arguments for hiking taxes on the rich helping create the sort of consensus necessary for that change. Among the many charms of minimum wages, public health and transfers is they don’t discriminate. Everyone has access to them. It’s far harder for a Tory gossip columnist to mock the idea of Medicare than the idea of soaking the rich. So thinking about areas of disadvantage that are important to eliminate seems to be a better way of looking at fairness in the Australian context. If higher taxes are required for such policies to be afforded, precedent suggests they will fall on those with capacity to pay. Meanwhile thinking about ways to raise the same amount of tax more efficiently is probably the best argument for land tax. For these reasons, I’d suggest dialing back instinctively appealing arguments the rich should pay more tax, in favour of more targeted arguments about avoiding corporate tax fraud or eliminating disadvantage. 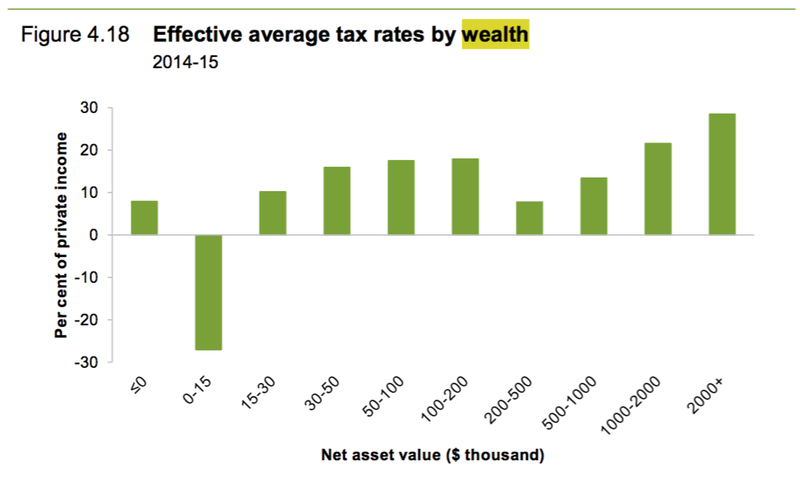 Posted on February 15, 2016 Author thomasthethinkengineCategories UncategorizedTags Australia, Economics, Tax9 Comments on Class war and cognitive dissonance: do the rich pay enough tax? Will Pedestrians be able to make driverless cars crash to avoid them? I seem recently to have been reading about systems that can be exploited easily. A big one is the police. An increasingly common problem for US police is something called Swatting. I’d not heard of swatting until a few weeks ago, when I read this most incredible article about an online troll who took his trolling to the real world. He finds out the address of a young woman, then calls the police pretending to have taken hostages at that location. The police arrive in a hurry, with a SWAT team (hence ‘swatting’). Doors get kicked in. The intent, the troll claims, is to frighten. But sometimes, innocent people die. Swatting shares some similarities with framing another person for crime, but the difference is the police force does little to no checking before it reacts. 2. Pizza delivery is the same technique at the other end of the seriousness spectrum. The pizza delivery location doesn’t check the address you give them either. The seriousness comes when you find a powerful system that is forced (or chooses) to reacts very quickly without doing much checking. 3. National governments responding to terrorist attacks are perhaps another example. In the aftermath of the recent terror attacks, dust had barely settled on Paris when French jets took off over Syria, bombing… things. The attackers wanted that and got it. Lesson is – we should be careful when we design powerful systems that have to respond quickly, without doing much checking. 4. This makes me think of driverless cars. These will be programmed to react quickly. They’ll (sometimes) be going fast, meaning their reactions could be powerful. Driverless cars will avoid pedestrians. It is possible they will be extremely good at doing so. But the more reliable they are at dodging loose humans, the easier the system will be to exploit. I can imagine a future where you can step off the kerb without even looking and be sure the cars will avoid you. Sounds nice, right? It would be a relief. But I can think of two risks. The low-level risk is pedestrians frequently step out and cars frequently screech to a halt, traffic gets worse, and eventually the two systems are segregated and pedestrians lose a lot of access. The bigger risk is when the cars are travelling a bit faster, but a pedestrian can still trust them to react predictably. If they knew cars would always swerve once they were inside a certain distance, a prankster who knew the right moment to step onto the road could cause five crashes on the way to work. Much has been written about how driverless cars will have to choose between the lives of their passengers or other potential victims. If they have a single best strategy they always follow in answering that question, they have a weakness. There could be ways of behaving on or near the road that reliably make cars swerve into each other or off the road. One solution I can think of is very low speed limits. Another is programming a random element into the systems so they don’t always react the same way. If they sometimes go left and sometimes go right, the system will be a little harder to predict and a lot less tempting to exploit. Posted on February 11, 2016 Author thomasthethinkengineCategories Uncategorized8 Comments on Will Pedestrians be able to make driverless cars crash to avoid them?